Many causes of recording or read errors are temporary and can be corrected by cleaning the tape drive. 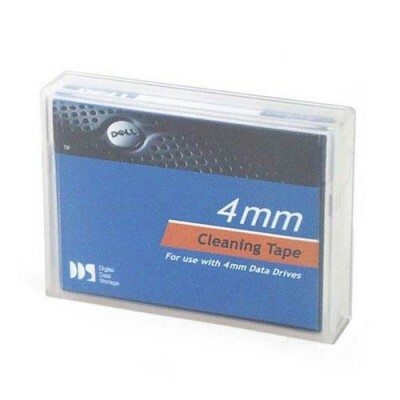 Regular tape drive cleaning helps in long-term reliability and should be conducted on a scheduled cycle as well as when requested by the drive. This cartridge uses the dry process cleaning method which does not involve any flammable materials and provides a clean recording gap with each use. It is specifically designed to work with all LTO Ultrium Tape Drives. This product has been tested and validated on Dellâ„¢ systems to ensure it will work with your computer. It is supported by Dellâ„¢ Tech Support when used with a Dell system. 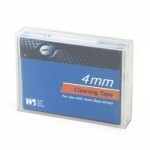 - Corrects temporary recording or read errors by cleaning the tape drive. - Designed to work with all LTO Ultrium Tape Drives. - This product has been tested and validated on Dellâ„¢ systems to ensure it will work with your computer. - Supported by Dellâ„¢ Tech Support when used with a Dell system.